A day at nursery is meant to be fun and exciting for children, so what better way to inspire young minds than to invest in innovative nursery playground equipment? Here at Setter Play, we provide a comprehensive range of equipment that’s perfect for any nursery playground, can you afford not to find something suitable today? Nursery outdoor play equipment is in high demand and it’s no surprise with the benefits that there are to be had! Playing outdoors not only boosts children’s ability to learn but can also improve their social skills. By transforming a space into a nursery playground, you will instantly create an area that children will love to play. Investing in nursery playground equipment from Setter Play will encourage children to play with their peers and to socialise more with their classmates. Outdoor play will provide an element of risk for nursery children. The nursery outdoor play equipment will provide individuals with a challenge. The addition of nursery play equipment is simple yet effective. Studies have shown that the right outdoor nursery equipment can support curriculum objectives, in essence taking the classroom outside and making learning more visual and valuable. 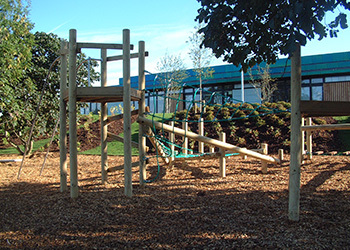 At Setter Play, we provide the nursey play equipment to make outdoor play more engaging for children, of all abilities. Our nursery outdoor play equipment is designed to be stimulating, therefore, it enables individuals to push their boundaries and to step outside of their comfort zone. When we design the outdoor nursery equipment, we take into consideration the needs of all children, ensuring that there is something suitable for everyone. The nursery play equipment from Setter Play provides an element of fun and excitement for all nursery school children. The team here at Setter Play design, manufacture and supply nursery playground equipment that allows children to use their imagination. Why do you need Outdoor Nursery Equipment from Setter Play? With the playground equipment that we design, there is a degree of exploration guaranteed. We specialise in designing nursery equipment to encourage imaginative play from a young age, so if you’re looking for something specific, you should consider one of our Unique Play Projects. Nursery play equipment from Setter Play can improve the mobility of nursery children and focuses on spatial awareness, balance and coordination. In addition to this, a nursery play area offers inclusive play for all children and is designed with their needs and wants in mind. Playground equipment for nurseries is designed with safety in mind. Whether it be a multi-sensory play unit or playground classics, Setter Play accommodate for all ages and abilities, making sure that equipment in your nursery playground is safe to use. Here at Setter Play, we design playground equipment to stand out, making it the focal point of your playground. Any equipment that we supply is made to specification, so if you have any special requests, please be sure to inform our team of experts by calling us on 01462 817 538 today!